Blonde hair color has always been associated with femininity, glamour and luster. Here are the latest images of blonde bob hairstyle ideas that will help you to create new looks and style for this season! 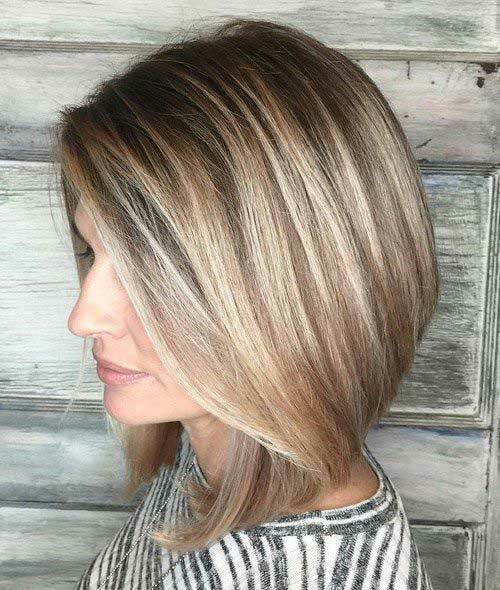 Side parted blonde bob hair with sof waves and messy style with choppy layers creates a nice and modern style for young women. Here is an inverted bob hairstyle for wavy medium length hairstyle with blonde hair color. 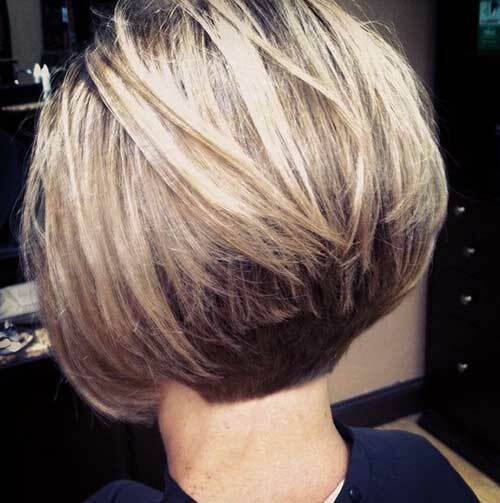 Bob hairstyles with layered and stacked back style will create a nice movement for thick hair. This simple wavy blonde bob hairstyle with darker roots can be sported for every occasion. 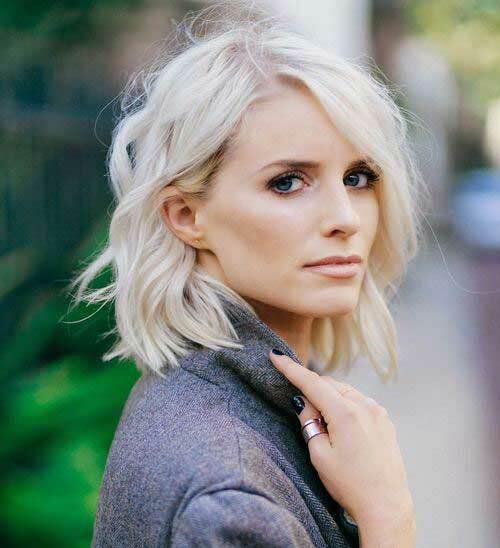 Short cropped bob hairstyle with ash blonde hair color and messy style definitely gives her a nice vibe. 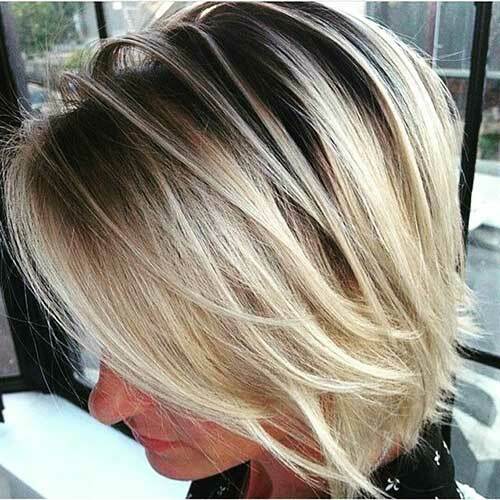 Here is another ash blonde bob hairstyle for sleek straight hair type. Highlights and low-lights will give your hair gorgeous texture and shine. 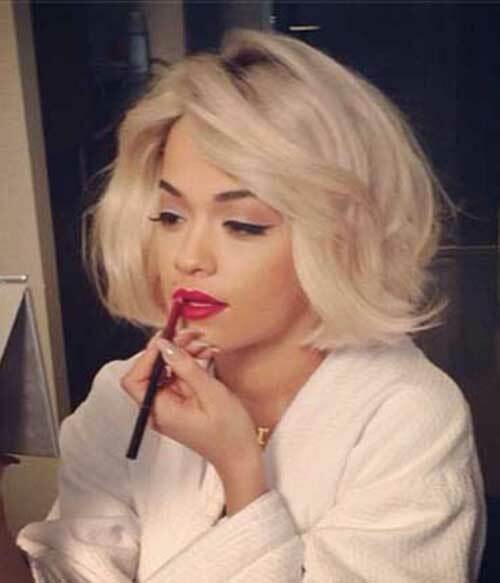 Rita Ora’s voluminous blunt bob hairstyle can be sported by black ladies and medium skin-toned women. 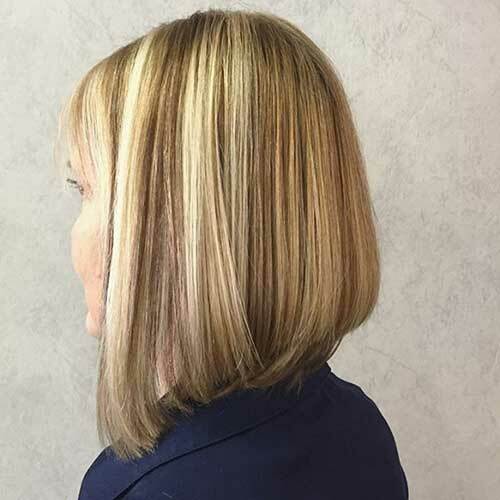 Here is an inverted bob hairstyle for straight blonde hair with balayage. Middle parted messy bob hairstyle of sienna miller would be a nice choice for middle aged women. You can add really nice braids and feathers to your bob hairstyle to create this chic style. 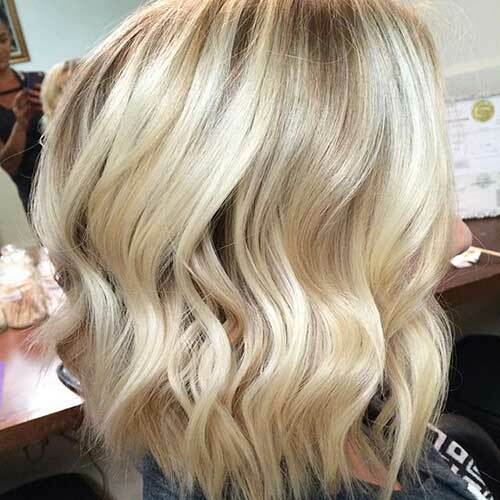 Blonde hair color shade is also really important to create a nice and appealing look, this blonde hair color would look nice on light to medium skin toned women. Here is a nice example of a short bob hairstyle for curly blonde hair. This nicely blended ombre bob hairstyle is slightly inverted and looks definitely stylish and natural.